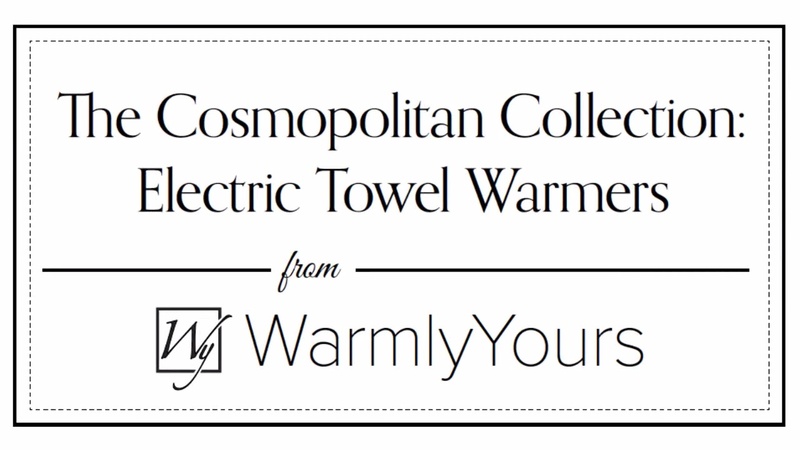 The Rome towel warmer from WarmlyYours has a boldly modern design with an emphasis on high performance. This wall-mounted model comes with 10 heated bars which help the Rome put out an impressive 426 BTUs per hour. 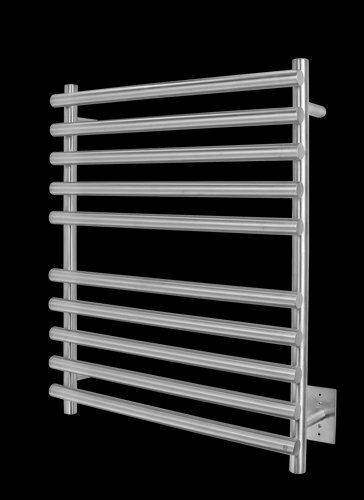 The three-dimensional cross-lay of the round bars ensures the Rome will be able to warm or dry your towels and bathrobes. When installed, the hardwired electrical connection (120 VAC) of this model means there will be no visible wires or cords. 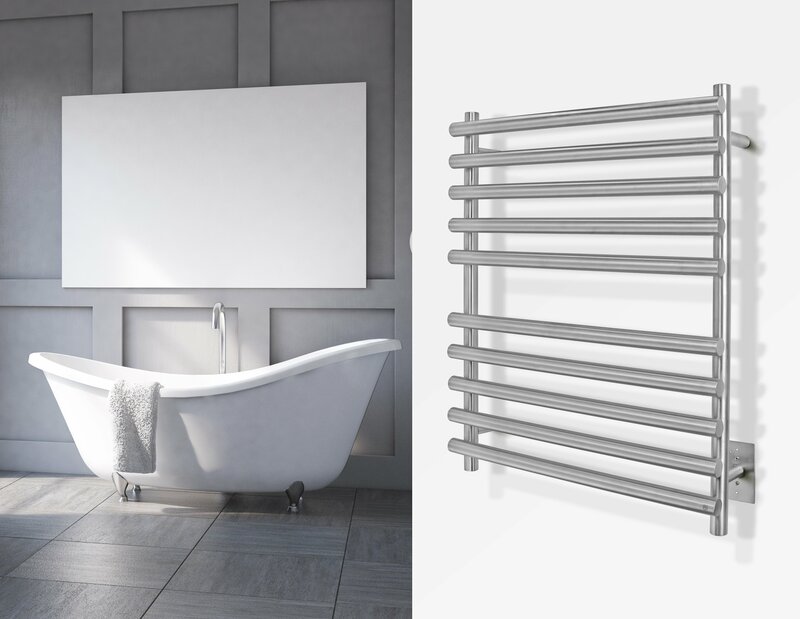 The Rome comes with a brushed finish and a durable 304-stainless steel construction which help add to the modern, industrial-chic appearance of this model. This model comes with built-in TempSmart™ overheat protection to prevent the unit’s surface temperature from exceeding 149°F (65°C).